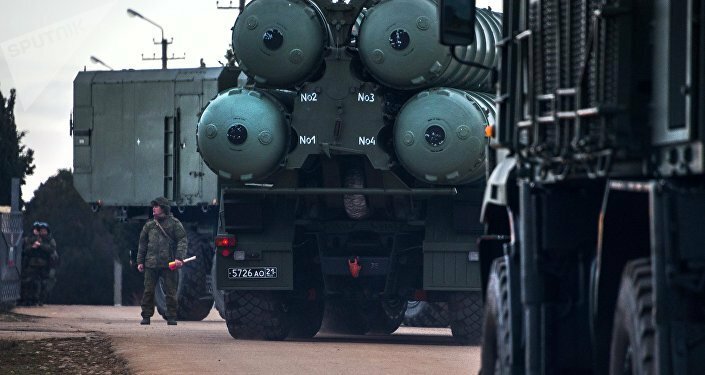 MOSCOW (Sputnik) - Russia’s plans to supply S-400 Triumf air defense systems to Qatar will not be affected by the opposition of Saudi Arabia, Russian senior lawmaker Aleksei Kondratyev told Sputnik. "Russia seeks its own interest, supplying S-400 to Qatar and earning money for the state budget. Saudi Arabia’s position has nothing to do with it, Russia’s plans will not change … It is clear that Riyadh plays a dominant role in the region, but Qatar gets an advantage by enhancing its Armed Forces due to the acquisition of Russian S-400 systems. Therefore, Saudi Arabia’s tension is understandable," Kondratyev, who serves as the deputy chairman of the upper house Committee on Defense and Security, said. "The United States does not want to lose a very lucrative regional market of weapons and they will continue to pressure Saudis," Kondratyev underlined. In January, Qatari Ambassador to Russia Fahad bin Mohammed Attiyah said that Doha was in "advanced" talks with Moscow on a purchase of the Russian air defense systems. Two months before, Riyadh and Moscow reached an agreement on the supply of S-400s.